Frank Woodley is a master of physical comedy, silly absurd humor and is an Australian national treasure. I've always looked forward to his TV appearances whether it be a guest spot or staring in his own TV series. I've followed his appearances for years, even so, it was news to me that he's also a talented artist/illustrator (I'm not surprised I just never knew that was something he did). When I saw him promoting his book series, Kizmet, on Channel Ten's The Project and got a quick glimpse of his illustration style I just had to see more. So I immediately got online and bought the first two, newly released Kizmet books. Written and illustrated by Frank, I was particularly impressed by his character design - especially of Detective Spencer, the bumbling comedy relief character, clearly intended for Frank to play in any live action adaptation. I can't really pin point what I like about Frank's illustration style other than there's a hint of Quentin Blake's style (well known illustrator of many of Roald Dahl's books) in the line work, even though Frank's illustrations do look very different to Quentin's. Maybe they share a certain 'quirkiness'? 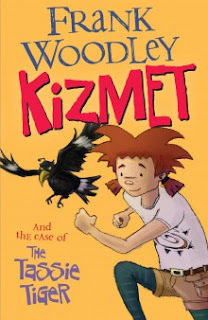 The Kizmet series is targeted at younger readers who are just starting to read books with more words and fewer pictures but aren't yet ready for full on novels. They're fairly easy to read with short chapters where something interesting is always happening to progress the story. Uniquely they are told from the perspective of Kizmet's assistant, Gretchen, who just happens to be a Currawong - which, from a writer's point of view is genius. Even though Gretchen is a bird and can't actually talk in English to the other characters we get everything she is thinking along with her view of the action. Kizmet herself is a very sharp, possibly pre-teen, detective who could be described as 'tomboy-ish' (if that's still a PC description?). Her father, Spencer, is a renowned detective working for IMPACT (International Mysteries, Puzzles and Crimes Taskforce) though, his comical incompetence does make it a stretch that anyone believes in his abilities. 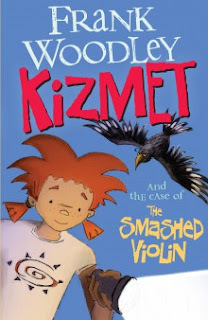 As mentioned there are two books in the series, Kizmet and the case of The Tassie Tiger and Kizmet and the case of The Smashed Violin. Both are fairly straight forward, enjoyable, mystery tales that are sure to keep readers engaged. From my point of view, I was expecting a little more slap-stick and laugh out loud funny moments considering the author's comedy heritage. Frank does try to do this with Spencer but writing visual comedy jokes doesn't translate as well as they would if Frank himself was performing them as part of a live action show. (Unfortunately it's not possible to have Frank act out the funny moments for you). I really think future books in the series could be greater enhanced with more illustrations highlighting the visual humor. More showing and less telling perhaps? That aside both books are very enjoyable. The kind of book I would've read back in the day as a pre-teen. 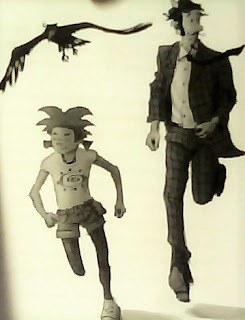 I'd even be tempted to buy more in the series (I'm assuming there will be) just for Frank's illustrations. Did you buy your books at the Book depository and get free postage, if the price was right if you looked at one or two sites I suppose. But if the postage is free, you'd save on the price anyway if it was dearer. Book World charge $5.50 now I think instead of the free it used to be. I think I bought them directly from the publisher's site because I couldn't find them on other sites at the time with them being just released. Turns out if I'd have waited a week or two I could've got both books cheaper from the Big W up the road.